Dr. Kevin Lewis is a Vancouver, British Columbia, Canada native. He studied Kinesiology; the study of human movement, at the University of the Fraser Valley. Kevin earned his Bachelor of Science in Human Biology from the University Of Western States. He continued studying and went on to receive his Doctorate in Chiropractic Medicine in 2011 from Western States University. Dr. Kevin Lewis finds the Chiropractic profession deeply satisfying as it combines is lifelong involvement with sports and his equally involved participation in outdoor activities. A complete people person, Kevin has a strong interest in healing and enjoys working with his hands. Kevin describes himself as an individual who has been intrigued with the combination of scientific information, personal interaction and problem solving elements. He loves how he gets to rely on these strengths each day of working in his exciting profession. 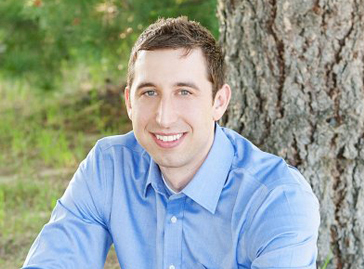 In 2012, Kevin relocated to Fairbanks to practice alongside his brother Dr. Rob Lewis. This move additionally brought his family closer to his wifes relatives; enhancing their family. Dr. Kevin Lewis enjoys providing care to patients of all age groups and backgrounds. He is committed to offering the most effective means of healing. He believes that an essential component to the healing process is correcting and searching for the source of the issue or presenting complaint. Rehabilitative exercises are prescribed along with therapeutic support in order to strengthen and protect the affected locations from places of further injury. Dr. Kevin Lewis has successfully worked with patients suffering from acute neck, back or extremity stiffness and pain. He has much experience in treating a myriad of musculoskeletal issues and chronic headaches. Dr. Lewis has worked with numerous patients who have suffered from trauma due to automobile accidents and workplace injuries. Dr. Kevin Lewis enjoys working with his talented colleagues at Arctic Chiropractic Fairbanks and also at Arctic Physical Therapy. It is an extremely rewarding experience to help patients achieve their health and wellness goals through rehabilitation. When he has a break from treating patients, Dr. Kevin Lewis likes to play the guitar and piano, enjoy time on the water boating and fishing and playing basketball.